While the rush to solar is unquestionably the goal of many sustainability enthusiasts, how to efficiently store solar energy remains somewhat elusive. Ways to flatten the power curve between day and night, high demand and low has become a prime target of utility engineers for some time now. Fortunately, there’s light at the end of the tunnel, for materials science and engineering researchers have finally uncovered a way to harness large-scale solar power storage. What this means is that large scale utilities may finally be able to cut back on burning fossil fuels. Believe it or not, ordinary metal oxides, like rust, can be turned into solar cells with the ability to split water into hydrogen and oxygen. This makes it possible to store energy at night or when the sun’s rays are blocked by clouds. Solar cells capture the photons, which are converted into electrons, and these in turn are used to provide the energy necessary to split the H20 molecule. At night, the energy can then be reclaimed by combining hydrogen and oxygen, thus pouring power back into the electrical grid. While metal oxide solar cells are less efficient in converting photons into electrons than silicon solar cells, researchers have discovered that elevating the temperature of metal oxide solar cells makes them more efficient. In essence, inexpensive, abundant and readily processed metal oxides have the potential to produce electricity far more efficiently than many believed possible. In pursuing the goal of producing more hydrogen and oxygen at higher temperatures, researchers tested three metal oxides: bismuth vanadium oxide, titanium oxide and iron oxide (or rust). In evaluating the three oxides for their ability to convert photons to electrons and splitting water into hydrogen and oxygen, they found that higher temperatures raised the production of hydrogen and oxygen—in effect doubling the rate of hydrogen generation. In scientific terms, the carrier mobility of the cells or how quickly electrons passed through the metal oxides was dramatically enhanced. While bismuth vanadium oxide was the most efficient, researchers plan to test more materials for their heat-enhancing effect, as well as temperature sweet spots. Now that we know that heating metal oxides produces higher energy outputs, researchers need only determine how such solar cells could be designed to enhance their efficiency. No need to insert more energy from an external source, one simply needs to concentrate the available solar radiation via a magnifying lens or parabolic mirror. This lays the groundwork for developing metal oxides as cost-efficient alternatives to silicon solar cells. Beside co-opting their use in day-to-night energy storage applications, pure hydrogen gas produced by water-splitting oxides could someday power vehicles or other machines directly. In other applications, the gases produced by oxide cells could be stored and transported through pipelines. They could be burned without releasing any extra carbon, creating a carbon-neutral energy cycle. The cost of renewable energy has taken a nosedive thanks to technological advances in wind and solar. While both continue to provide increasingly higher levels of energy output, they are heavily dependent on the time of day, location, season, weather, and other factors. This increases the demand for grid management services, which will be charged with integrating variable renewable energy resources onto existing electric grids. New approaches to smart markets and energy storage can smooth the transition into more sustainable sources. Smart communications technologies permit electricity demand to be properly metered and controlled. Energy storage technologies allow electricity to be temporarily stored and dispensed during night and overcast days. Who knew that rust would be a key element in helping the world go solar? Looking to help your environment by going solar? 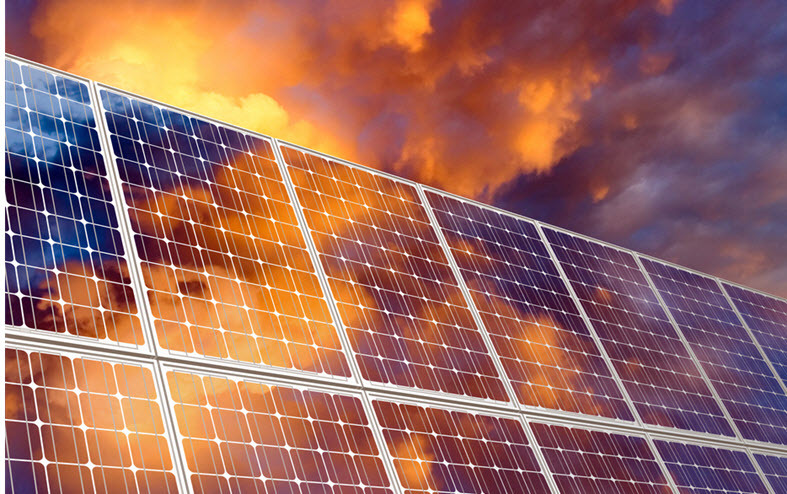 Check out our Top 5 Solar Installers near you. Get a free solar estimate today.